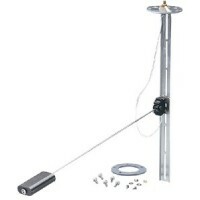 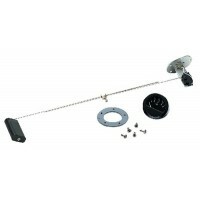 Sender-reed ss electrical 10in Tank Depth: 11"Length: 10"..
12in electric ss wema sender Tank Depth: 13"Length: 12"..
Sender-reed ss electrical 14in Tank Depth: 15"Length: 14"..
Sender-reed electrical 17.5in Tank Depth: 18-1/2"Length: 17-1/2"..
Sender-reed ss electrical 21in Tank Depth: 21"Length: 20"..
Sender-reed ss electrical 23in Tank Depth: 23"Length: 22"..
5 hole gasket pkgd w/screws Description: For electric or mechanical sending units..
Sender-reed ss electrical 8 in Tank Depth: 8"Length: 7"..
Sender-reed ss electrical 9 in Tank Depth: 9"Length: 8"..
Converts fuel level reading from standard direct site gauge to electric dash mounted gauge (33-240 O..
With a direct sight gauge or with the conversion capsule gathers fuel level information with the flo..
Swingarm Electric Sending Units gather fuel level information the same way as the mechanical sending..
Fuel sender w-diesel ret 6-24 Tank: 6' - 24'..
Sender elect 6-24 w-diesel ret Tank Depth: 6" - 24"..
Made of non-ferrous materials and compatible with 35 to 240 ohm gauges. 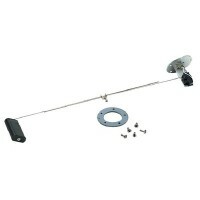 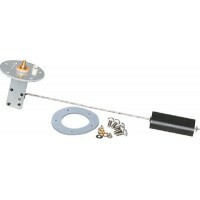 Mounting screws and gasket i..
15501: Combination of 15421 and 15441.15421: Fuel Gauge Sender: Adjustable depth from 6" to 27". 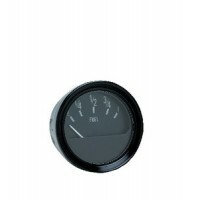 Fit..
Fuel sender gasket Tank Depth: Gasket Only..